Good news for Guest teacher’s aspirants. SDMC ( South Delhi Municipal Corporation) release notification for 166 Nursery Teachers on contract basis. Salary for Guest teacher around 35000 rupess. January 2018 Delhi Nursery guest teacher cut off was little higher as previous one. Here is all information regarding DELHI SDMC NURSERY GUEST TEACHER recruitment recruitment 2018. 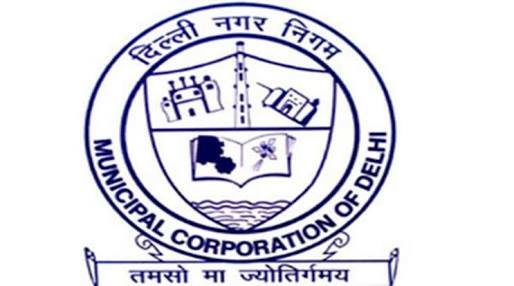 SDMC Department of Education release contract vacancy for Nursery Teachers. 4. a) Educational Qualification Senior Secondary Schools ( Class Twelve) Certificate or intermediate or its equivalent with at least 45% marks from a recognized Board /Institution/ University Diploma / Certificate in Nursery Teacher Education Programme of duration of not less than two years or B.Ed (Nursery) from a recognized Institute. i) Online applications are invited from interested and eligible female candidates for engagement to the post of Teacher(Nursery) on contractual basis in the schools of South DMC. ii) The cut of date of acquiring all the eligibilities i.e. academic & professional qualifications alongwith caste and category certificate etc is on or before the closing date of online submission of applications. iii) The candidates will have to upload application form with her / her own latest photograph on the website www.mcdonline.gov.in Applications will be accepted online only. No manual application will be accepted or entertained. The applicant shall fill up her/ her name as recorded in the certificate of Secondary / Sr. Secondary Board Examination. The candidates should ensure that correct entries are made in the application. Applications with incomplete and wrong particulars will be rejected summarily. iv) No fee is required from the candidate. No documents are to be attached online. Documents will be required at the time of verification. v) Reservation & relaxation will be provided as per rules. The candidate of OBC category must possess caste certificate issued from the Competent Authority of Govt. of NCT of Delhi as per the prescribed format .The SC/ST candidates must possess caste certificate issued by Competent Authority on or before the closing date of submission of Online applications. The candidate belonging to Physically Handicapped Category (Ortho + VH) must possess “Disability Certificate” issued from Govt. Hospitals. vi) The selected candidates will be posted in any of the school under jurisdiction of South DMC. vii) The list of sort listed candidates will be uploaded on SDMC Website www.mcdonline.gov.in In between 27.08.2018 to 29.08.2018. The candidates are advised to browse the website regularly. viii) Documents of short listed candidates will be verified at SDMC Primary School Andrews Ganj, New Delhi, Central Zone between 07.09.2018 to 11.09.2018. The date wise schedule for verification of documents and final list of selected candidates will be displayed on www.mcdonline.gov.in only. Information will only be uploaded in sdmc website. No candidate will be informed individually or by any other mode of communication. ix) The zonal DDEs / ADEs will issue the engagement letters to the selected candidates after due verification of eligibility of candidates in all respect. The documents/testimonials of all the candidates will be verified from the concerned board/ university/authority by the concerned zonal DDEs / ADEs. x) The candidates so selected for engagement will have to execute a contract agreement with zonal DDEs/ADEs before the issue of the engagement letter. The engagement will be purely on contractual basis up to 10.05.2019 or till the select list is received from DSSSB, whichever is earlier. The candidate will stand disengaged automatically after the expiry of the contract period. x) Selected candidates will have to join her duty between 18th September 2018 to 24th September 2018 positively. xi) The candidates so engaged on contractual basis shall not claim salary, allowances, facilities and other benefits accruing to the regular teachers. xii) The candidates so engaged on contractual basis are not entitled and have no claim whatsoever for regular appointment in the South DMC. xiii) This is purely a stop-gap arrangement to meet out the shortage of Teacher ( Nursery) and smooth functioning of the school. xiii) The candidates so engaged on contract basis shall not file any court case regarding salary & regularization etc. xiv) Applicants are requested to check their e-mails and also frequently visit the website of SDMC (www.mcdonline.gov.in) for further instructions / information. In case of any clarification, a candidate may contract to DDE(Admn.) Ph No.011-23227334. xv) Department reserves the right to amend/withdraw/ cancel the process of recruitment/ engagement wholly or partly at any time without assigning any reason thereto. xvi) The number of vacancies is tentative. Department reserves the right to alter the number of vacancies at any time. Candidates belonging to SC / ST and OBC category who are also covered under the Physically Handicap/ Visually Handicap categories will be eligible for grant of cumulative age relaxation as per rules. Marks will be calculated upto 2 place of decimal and convention of decimal fractions will be adhered to. •The eligible and interested candidates may apply only through online on www.mcdonline.gov.in between 1st August to 14th August ( 5:00PM) The candidate should follow the user guidelines and instructions while applying online. • Candidates are instructed to fill up all entries of application form carefully. Once form is submitted, second attempt will not be entertained. • Online applications DELHI SDMC NURSERY GUEST TEACHER are available on the MCD website www.mcdonline.gov.in It is advisable to use Mozilla Fire Fox Browser to make the online application. After opening the site by typing www.mcdonline.gov.in , the button marked Jobs @ MCD may be clicked, which shall open the page showing all jobs of MCD to which online application can be made. • Against the post, Two Buttons namely. • All fields are compulsory. All fields filled in correctly will turn Green. Any field not filled in correctly will turn Red. Till all the fields are correctly filled the page will not go to next page. • The photograph in JPG, JPEG and BMP format need to be uploaded. The photograph size should be less than 2 MB. • After all entries are made, the entries ought to be checked thoroughly. After satisfying that entries have been correctly and completely made, the button “submit” is to be clicked. Note:- No change in any field will be allowed after the submission of the application. NOTE:-The vacancies notified are tentative and can be varied as per actual requirement. South DMC will maintain a wait list/panel of candidates to meet any requirement in the current academic year. Its contract guest teacher vacancy for 11 month. There is no fee charges to apply online. Salary would be 35000 per month.